3. Revision of each of my novels. How did the reality match up to the good intentions? In terms of writing it’s been a year of the series for me, and apart from those mentioned, I’ve been working on Beyond The Law: Consequences, which will bring the trilogy to a close. I found writing a sequel a daunting task, but the final part of the story is proving more of a challenge. I aim to produce the book in early 2017. 1. I created the artwork to accompany my poem Whisper Wood for the IASD Children’s anthology. 2. I revised and heavily edited my published work which took between two to three weeks for each book. 3. In conjunction with the other Admins, I made a few visits to the IASD blog/website to update and keep members abreast of our news. The Featured Author will be continuing in 2017. 4. An unexpected occurrence was becoming the mentor for a newbie erotica author. I read the debut title and found the story and writing failed in several areas. The few public reviews were praising the story, but none were justified in my opinion. Instead of damning the book publicly I left a comment on another reader’s review. The story author got in touch and was keen to know more. I told him I wasn’t an expert, but his work needed more substance. At his request I provided a critique of the story. He pulled the book from Amazon, reworked it and sent it to me for a second opinion. It was much improved and he’s now working on his next title. 5. I was the beta reader for a couple of our IASD authors, and I read and reviewed several books by members. 6. I’ve taken brief breaks by drawing and by updating my Tom Benson Author website and my Creative Writer and Artist website. In certain areas I achieved more than I expected, but there were casualties in my battle-plan. 1. I spent two months revising and editing Codename Koki for Malcolm Beadle, but it appears my mix of honesty, integrity, and expectation were too much. I haven’t heard from Malcolm for a few months, but I’m sure he’s working on the story and other projects. 2. I have yet to create a paperback, so perhaps 2017 will be the year for me to try CreateSpace. 4 . 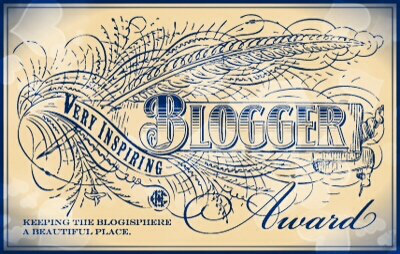 On the social scene I had a timely reminder I am not a blogger who writes, but a writer who blogs. I entered the 2016 A to Z Challenge with the best of intentions, but after a few days I abandoned the attempt. Having completed the challenge before, I recalled many hours spent responding and reviewing and in honesty, I couldn’t justify the time. I had difficulty maintaining an interest. 5. Among my aims I wanted to cut down on casual social networking, and concentrate on reading and writing. I’ve been true to my goals for most of the time. This year I’ve tried to strike a balance. Not many reviews will have been seen from me because I’ve dipped into my TBR, but I’ve also read from my large collection of paperbacks. I have an allegiance to the Indie Author Support and Discussion group, and it will remain the exception to my personal rule about social media visits. Exposure of my writing has been assisted by my monthly ‘Freebie’ weekends on Amazon. I’ll be continuing my monthly giveaways in the coming year. What do I have planned for 2017? Once again my year will be dominated by ‘series’ but I’ll give more detail in my first blog post of 2017. I have an ambitious number of titles lined up for completion. A lot of the groundwork is laid and I continue to work across titles simultaneously. Retirement late in 2017 means I’ll devote more time to my passion, and to my renewed interest in cycling, which is where I do a lot of my thinking and scene setting. As always, thank you for your time, and comments. A to Z April Challenge – tried it? is for April, and it will come as no surprise that the A to Z April Challenge is … a challenge held in April using the letters of the alphabet, from A to Z. Have I ever completed the challenge? Yes. What is it all about – really? Essentially, it’s about increasing your presence in the blogosphere. If you have a blog and you feel you don’t have many followers it can be down to several factors. – You might have an interesting theme in your regular posts, but may not be relating it in an interesting way. – You may find yourself wondering how to make your topics attract followers. – You might even be new to the blogging idea and the best way to learn what works is to visit others – and comment. – Make an effort to become a part of the international blogging scene. I’ve provided a link if you click on the logo towards the end of this post. Or you can check out the details here: A to Z April Challenge 2016. You might well fancy attempting to complete the challenge this year. If you make the effort to try it, you have nothing to lose, and a lot to gain. I heard about the A to Z April Challenge from writer, reviewer and prolific blogger, Damyanti Biswas. I enrolled on the 2014 challenge and I chose to use the topic of writing as my theme for the month. As always, I had several projects on the go simultaneously, so fitting in a daily post and then reading and commenting on at least five other posts became a real challenge. Okay, having said all of the above regarding my first attempt, I did enjoy my efforts and those of the other bloggers. My followers increased and I still visit some of those bloggers I met in 2014 during the challenge. I admit, I am a writer who blogs, as opposed to a blogger who writes. It means that for me, blogging is a means to an end. It is an author platform. For many, blogging becomes a social activity and in several years experience of the international community, I’ve found insights into many areas. What did I do in my challenge posts in 2014? Do I have any advice for those are considering the challenge for 2016? Yes. I’d have two pieces of advice, apart from suggesting you try the challenge. 1. Don’t use the first topic / theme that comes to mind. List about five things you’re really interested in, and then choose one. 2. Set up a file with the letters of the alphabet, and build a small catalogue of posts in preparation. It’s even better if you can prepare your entire month (26 posts) in advance. All you have to do then is either edit them or have a quick look before posting. Why not check it out by clicking on the logo to the left, or if you like, I’ll happily field early questions. Better still is to contact Damyanti directly. Thank you for reading … and maybe we’ll see each other out there in April. Like many other writers, I enjoy turning a fresh page, whether it be reading, writing, or turning that page metaphorically. As we approach another year end / beginning, I’m taking a look back at my targets for 2015. I published A Taste of Honey in December 2014, so I was delighted to begin my new writing year with great reviews of my latest title. 1. Update the ‘back pages’ information in all of my books. 2. Read and review more work by the members of the IASD writing group. 3. Step in quietly and offer assistance to new / novice writers wherever possible. 4. Update my author website, creative writer and artist website, and this blog. 5. Attempt a book or series for children. 6. Write a new novel. 7. Write a sequel to one of my present novels. 8. Write another anthology of short stories. 9. Work harder at my ongoing project of my fact-based fiction, coming-of-age story. 10. Work hard to make my blog topics interesting. How did I do with my ten general topics? 1. I updated the information for the back pages of my published titles, and set out a standard document to make the process simpler as I moved forward. 2. I read and reviewed 15 books in the IASD. 3. I’ve given assistance to three novice authors directly from our group. At the time of writing I am editing a fellow writer’s debut novel. 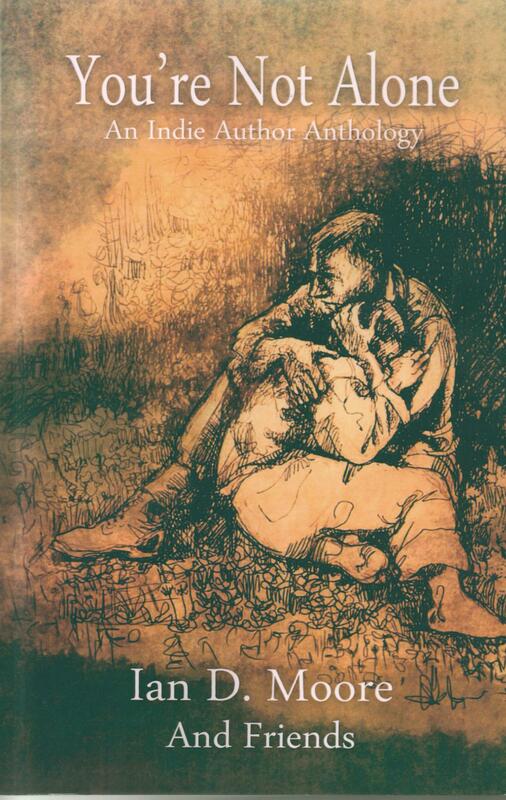 I’ll be formatting the finished manuscript, and producing the cover for him in 2016. 4. I updated my two personal websites and my blog, and in an ongoing effort to streamline and improve them, I’ve gone on to overhaul my secondary website and this blog twice more within the past year. 5. On my first attempt at writing for children, I failed on several levels, but rather than dwell on a specialised genre where I recognise I don’t belong, I decided to leave the genre to those who write it well. 6. A fresh novel was beginning to look like another thriller, but I decided to throw caution to the wind and based on the success of my erotica anthology – I wrote a novel in the same genre. In September, I published Give & Take: a Tale of Erotica. 7. My first sequel saw the light of day, after a lot of procrastination, planning, and hard work – and then of course it was rewritten several times. In November, I published Beyond The Law: Retribution. 8. I started the year with three ideas for an anthology, and following the offer of including work by guest authors, the anthology was eventually created. In December, I published, The Welcome: and other Sci-Fi stories, a collection of 15 stories, six of which are from guest authors. 9. My fact-based fiction novel is now taking shape as my first attempt at a series. It is presently intended to be a five-part story. The first book is ready to be formatted. A Life of Choice – Part One will be published on Amazon in January 2016. 10. I’ve written blog articles on marketing, blogging, writing anthologies, and a few other topics. My official followers have now risen to the dizzy heights of 170+. I had an article in Writing Magazine in March, highlighting my writing successes to date. 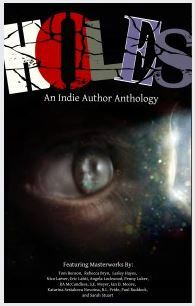 I wrote Goals, a short story for the charity anthology, You’re Not Alone, being produced by Ian D Moore. Stories from 28 members of the IASD were included and it went live on Amazon in July. I wrote Faith, Hope, and Charity, a short story for Holes, an IASD anthology produced by Eric Lahti, as a marketing tool for our members. I wrote the poem Whisper Wood, for inclusion in a children’s anthology of stories and poetry being produced by Sylva Fae. The collection will be published in 2016. I’ve been interviewed by Christoph Fischer, and had a Recommended Read award from Patrick (Max) Power. Since October, I’ve been working hard on the IASD website with fellow Admin guys, Paul Ruddock and Ian D Moore. The restructuring is complete and the new, improved version of our website will be posted for public viewing in January, complete with our first Featured Author of 2016. I’ve signed up to another couple of websites too, but whether they will prove useful in the long run is hard to predict. My most recent trial has been signing up to BookLinker. This is a site where a regular Amazon URL can be transformed into a ‘universal’ link. I’ve been using the links on Facebook and I’ll be reporting my findings in January 2016. That’s about it for this year, so I’d like to say a sincere thank you to all who have played a part in my writing journey over the past 12 months, whether it be in buying my titles, reviewing, offering advice, reading my blog, or any number of other things. Have a great end to the holiday season, thank you for checking out my scribbles again, and I’ll see you all in 2016 with a new set of projects. Are you a Writer, or a Blogger? Are you a blogger who writes, or a writer who blogs? If I had to make a choice, I would know instantly where I stood. * The writer will take about three milliseconds to glance at the title page of their blog. They’ll have several images of the links to their favourite online friends and recollect a few wonderful articles and images as they say a fond farewell to all of it. * The blogger will look at the title page of their blog. They will have a lot of images of the links to their favourite online friends and recollect an abundance of wonderful articles and images. The blogger will have fleeting memories of stories, articles and posts they’ve written, then have a tea or coffee as they ponder what is most important to them – writing, or blogging? Is it really that simple – that brutal? Yes, dear reader, I believe that it is. You don’t think so? Check the title of this post. What was your immediate response? I’m dealing with a journey where the only baggage is emotional. I’ve been on a long trip, and there have been two stages of revelation recently where this subject came clearly to mind. The first revelation was when I elected to take part in a blog-related promotion. Having said I would take part, I then felt I had to step back from it. That was regrettable – mainly because I’d broken my word, but also because I had originally wanted to be involved. Why did I abandon the blog promotion? I re-evaluated the time I’d spend away from two major writing projects – and I had to be true to myself. * One large case of wishing I had more time to respond to the lovely people who follow this blog. * A small bag of regret that there are still those folk out there who will follow a blog, simply to be followed. * A portfolio of online conversations with like-minded souls who write for many reasons, and who on occasion get in touch to apologise for not reading and commenting on my blog often enough. * A trunk full of guilt for the number of times when I start scrolling through the list of fifty blogs that I follow, only to find myself abandoning the cause to get back to that chapter I wanted to rewrite. * A satchel full of notes, ideas and headings for blogs that I might never write, because I’m too busy completing a story. On my trolley of baggage there are many more containers, but the detail of their contents would only become boring, so you’ll have to trust me on that score. It’s a heavy load. Are those who blog not also writers? Yes, but they are writers who have chosen a different path. They are writers by the very fact that they maintain a blog. They are not primarily storytellers. For the blogger, those activities are a secondary activity. The blogger looks at their blog as social media. The writer looks at their blog as a marketing tool. Will I continue to blog? Yes, of course I will, and hope that at least some of those I do work hard to follow will understand my motivation – the need to produce stories, much more of the time than I spend checking out the thoughts, opinions and dreams of others. Yes, that is a selfish attitude, but what more would you expect of a person who spends the majority of their time in their own company – through choice. Don’t worry, that was a rhetorical question. Later today, I will once again set my timer and attempt to read about ten of the fifty blogs I follow. Thank you as always for the patience it takes to negotiate one of my literary rallies. To Blog … or not to Blog? There are many reasons for maintaining a blog, but before I offer my view, this is a good time to be honest. Why do you personally have a blog? 1. Do you like to be a part of an international community of like-minded folk? 2. Do you like being able to air your opinions or grievances and occasionally receive support from others? 3. Is it simply a pastime and a regular part of your social life? 4. Are you perhaps particularly good at something, or have an interest in something and like to write about it? 5. Do you use your blog as a sounding board for thoughts and ideas, but also as a platform? As I suggested in my intro, there are many reasons to blog, but it doesn’t make any difference if you’re honest about your reasons. The only way anybody will ever know your true reasons is if you tell them … and they believe you. Why do I have a blog? Before answering that question I’d like to say that I now have a blog for different reasons to those I had when I started. For many years I haven’t been the social animal I was in my military career. At about the time I took up writing I was advised to try writing a blog. I used it as a social connection, and as a means of learning about the internet and also aspects of writing. It took me about a year to gain around 25 followers with my first attempt at blogging, so a couple of years ago I closed it down. I started again with a new theme, a fresh attitude … and a couple of books to my name. My reasons for having a blog changed from social to business. I have a blog quite simply because it is one more way of promoting my books and my brand as a writer. The whole concept of ‘brand’ is a topic for another day, so I don’t want to get into it now. This blog for me is a practicality. Since stepping down from my retail management role about three years ago, I only work three days per week to support my writing ambitions. I’m serious about my writing so I owe it to myself to conduct a strenuous and ongoing self-marketing campaign. I know there are many who don’t like the idea of ‘self-marketing’, and it may come as a surprise, but I count myself in that group. Self-marketing for the indie author is a necessary evil. I’ve dealt with necessary evil in my life before so perhaps that’s why I can get over it and get on with the job in hand. There is a nice side effect of having a blog, in that I have gained some social contact online now with a handful of other writers who blog. We don’t commit to checking each other out every week. We comment on each other’s words occasionally, which to me is more important. I’d rather have 10 genuine contacts than a few hundred names of folk who have registered their names purely so that they will attract attention for a mutual comment feed. Along the way on this second attempt I’ve somehow managed to gain 140+ ‘followers’. Okay, maybe I have a figure displayed that suggests 140+, but I know I have an intermittent following. No, I don’t expect to be followed and not reciprocate, but there are only so many hours in a day for any of us. Does the intermittent following bother me? No. The reason it doesn’t bother me is quite simple. No matter how hard I try, I know I’ll never manage to maintain my commitment to writing and checking out 140+ blogs every week, or even every month. I’ve tried catching posts by email, and I’ve tried checking so many per day and so many per week, but it’s all far too time-consuming. There are also many who click the follow button on my site, but they blog about topics that hold no interest for me. I do make an effort to repay any visit from those who are kind enough to check out my thoughts, like this post. Sometimes I’ll find a post that captures my imagination or I’ll find a post that I didn’t know had been made, so I write a comment. I’m probably not using my blog the way the ‘User’s Guide to Blogging …’ would suggest, but that doesn’t bother me. I’m an author, so my main interest is creative writing. I drive a car but I’m not a car enthusiast. I eat, but I’m not a lover of fine foods – it’s a necessary part of life. There are many things that we all do that become a part of our lives – for me the maintenance of a blog is one such thing. Do I give anything back to my followers or occasional visitors? 1. I do try. Yes, in my main menu there are my book titles, but there are also topics which I hope will help to guide my peers. It took me a considerable time to learn many aspects of my writing craft so one of my personal aims is to help other writers in any way I can. 2. As I’ve said often before, I’m not an expert in the field of writing but I’ve gained masses of experience and read widely on the subject. When I see a fellow scribe whose writing is perhaps a little below par in one or two areas I respectfully offer some advice. 3. When I review a title I endeavour to get the word out there for the author, so apart from sharing the review as widely as possible elsewhere, I review on Goodreads so that it appears on the Homepage of my blog. 4. I may not write a post every week, but I make an effort to produce meaningful content. There are those that will consider this post an apology for not blogging ‘properly’, but I’m sure there will be others who find this a meaningful post – because like all I do, it is written with sincerity. I’m presently working on a variety of projects, but I will get out there and visit a handful of blogs. If I cruise through my followers and find a topic I am in tune with, I’ll comment. On the other hand if the main subject matter is of little interest to me, I’ll move on. As always, I am grateful for any visitors and comments.